Popup Maker can work on any website type. As a highly converting tool, Popup Maker works on Joomla too. 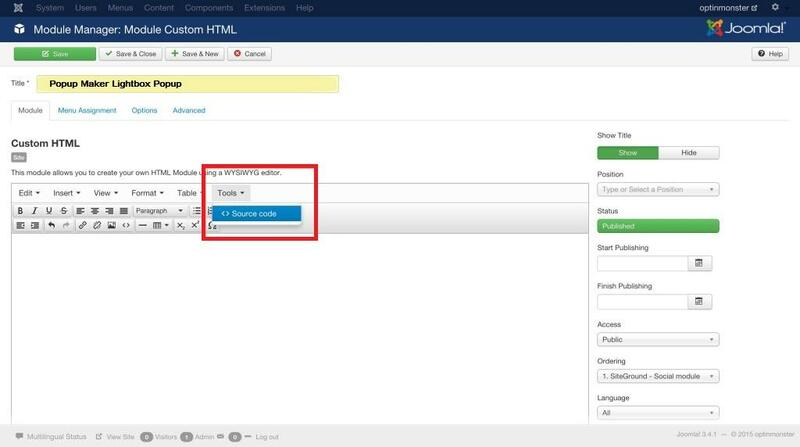 Follow the steps in this article to integrate popups with Popup Maker into your Joomla website. To start the process, you should create a popup on your Popup Maker account. 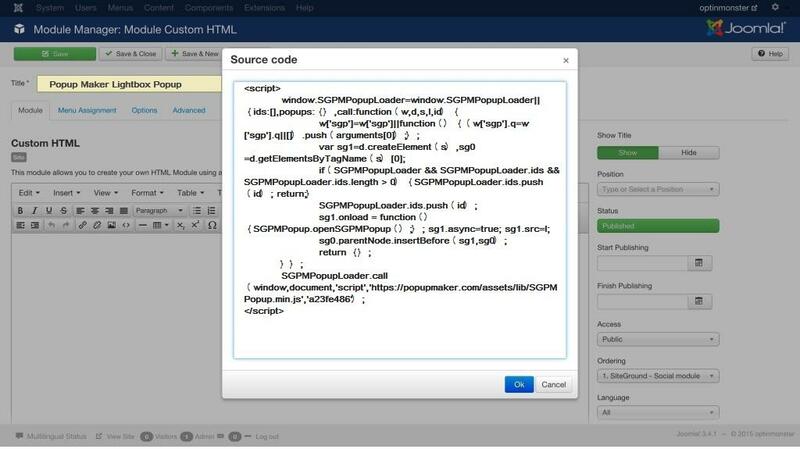 Then just copy the embed code to use it in your Joomla site. 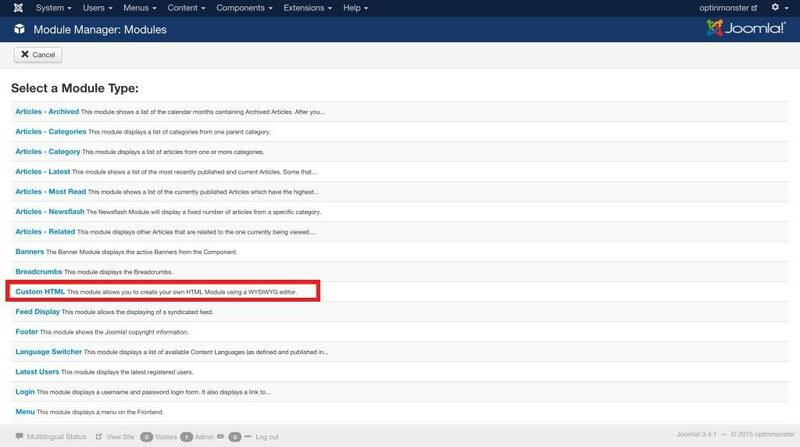 Step 2 - Paste the copied embed code into your Joomla website. After creating the popup and copying the embed code, you should modify the Tiny MCE Plugin’s settings. 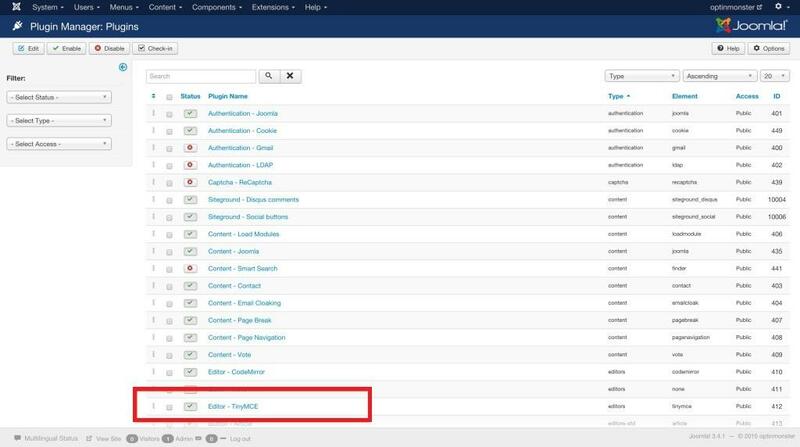 Go to the Plugin Manager section of your admin and choose the Editor – TinyMCE plugin to edit. Then, scroll down to the Prohibited Elements setting. This field contains script, applet, iframe, by default. You should remove the script from this field to be able to add the Popup Maker embed code. Save the changes and move on. Now you should go to the Module Manager section and select the New button. 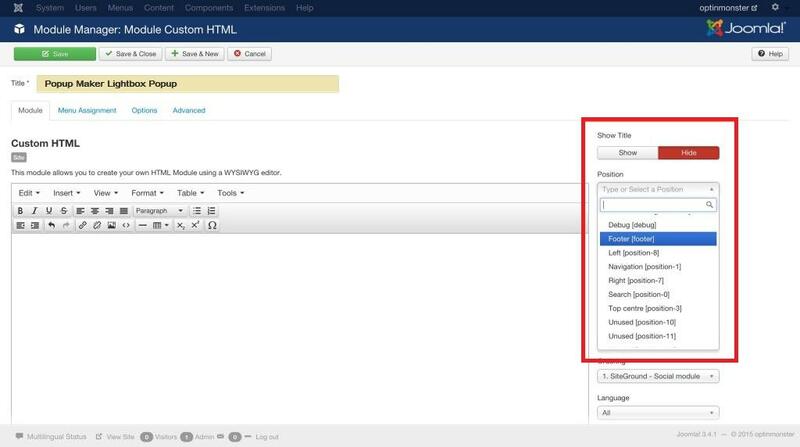 Next you should select Custom HTML as the Module Type. Add a title for your module and select Tools > Source Code from TinyMCE toolbar. A modal window will appear where you can paste your embed code and hit OK to proceed. At the end, you should select the position of the embed code on the page and Save the changes! That&apos;s it! 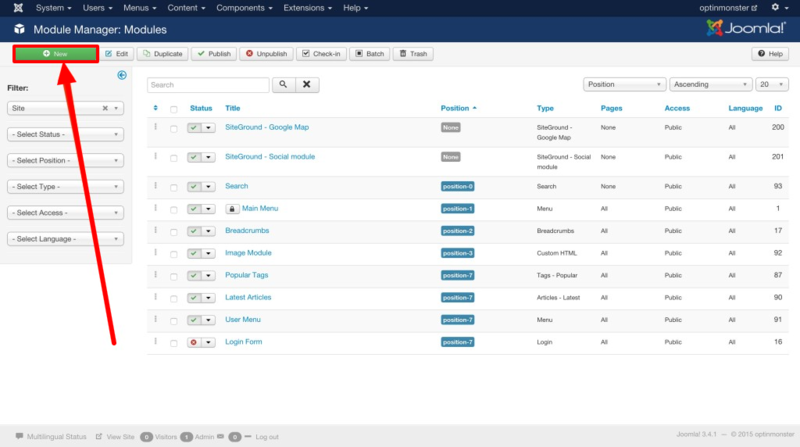 Now you&apos;ll have your beautifully constructed popups on your Joomla site!